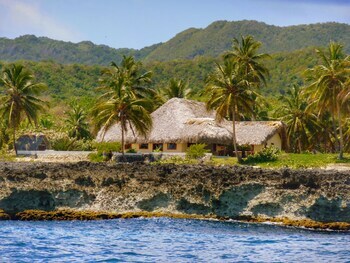 When you stay at this villa in Samana, you'll be near the beach and 12 minutes by car from Playa Las Flechas. Featured amenities include dry cleaning/laundry services, laundry facilities, and a library. A roundtrip airport shuttle is provided for a surcharge (available 24 hours), and free self parking is available onsite. Located in Las Terrenas, Casa Grande Beach Hotel is by the sea, within a 15-minute drive of Playa Bonita and Coson Beach. Located in Malecon (Gascue), Hotel Navarro is within a 10-minute drive of National Palace and Parque Colon. Free self parking is available onsite.